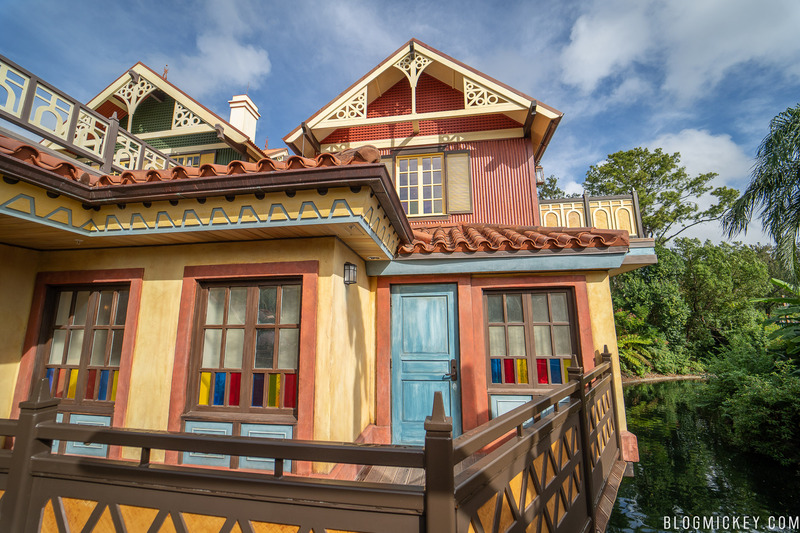 We made it out to Magic Kingdom recently to check on a few projects around the park. 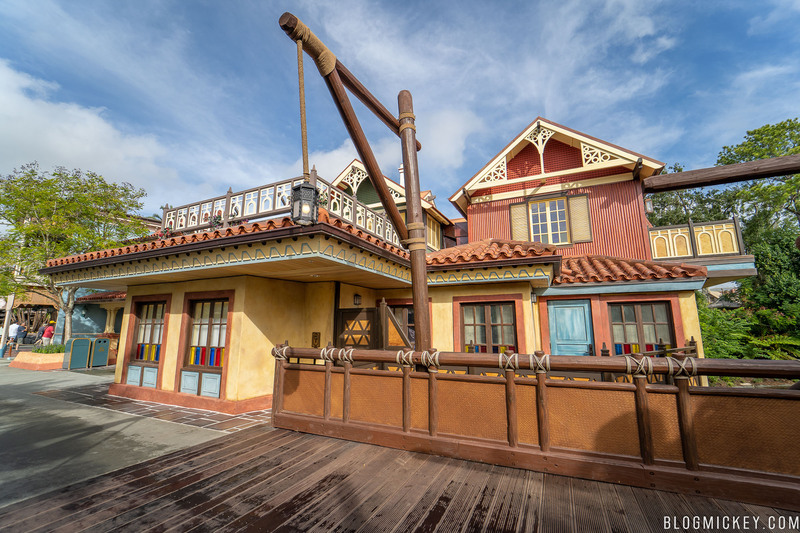 One of the most interesting, and public, has been the construction of the Club 33 location just across the Adventureland bridge. 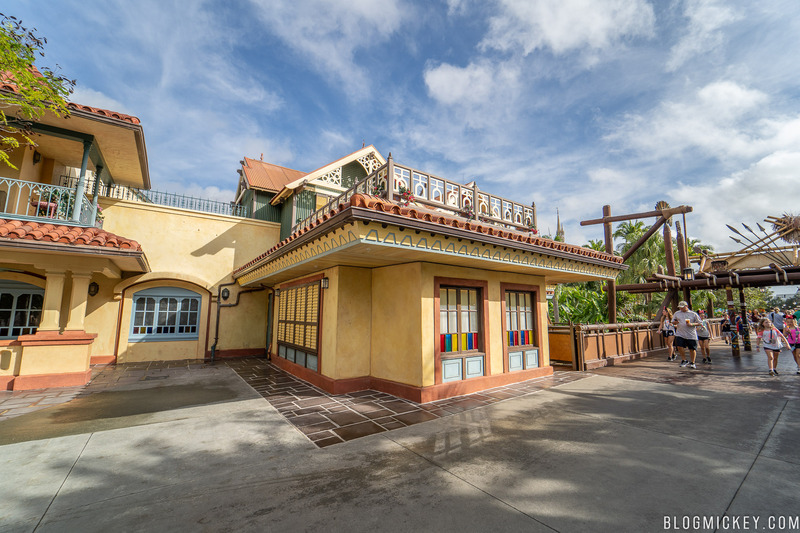 The work surrounding Club 33 started about a year ago, which was roughly 5 months after we first brought you the news that Club 33 was coming to Adventureland. Now, the work on the exterior is complete, with the last of the walls coming down recently. 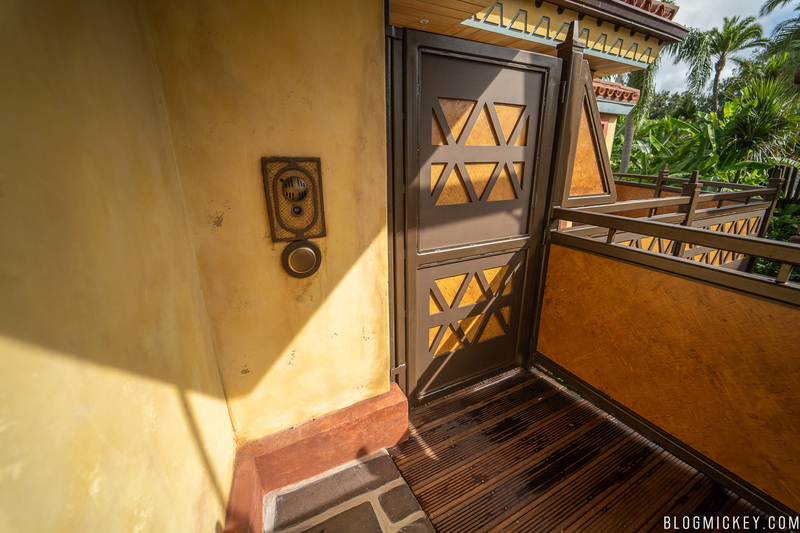 As far as access to the building, there is a gate with MagicBand reader that will take guests to a first floor door. Inside, we’re told the club is themed to 20,000 Leagues Under the Sea – complete with a porthole for viewing sea life. 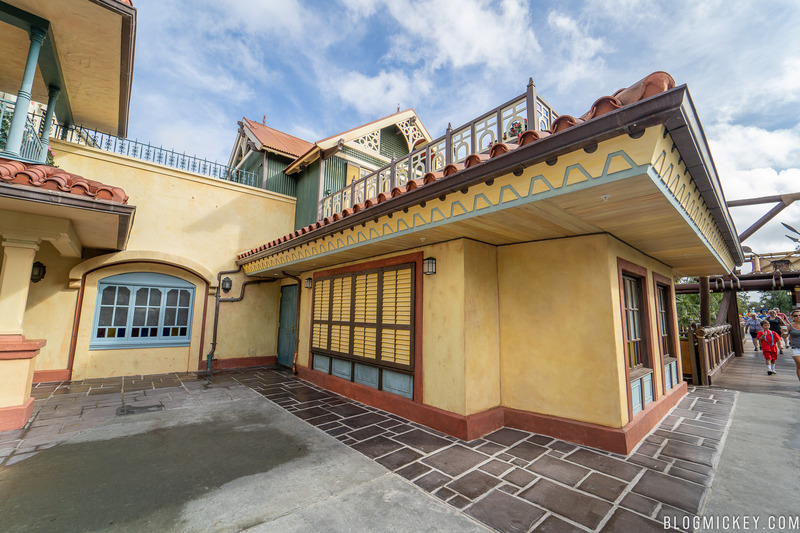 The Epcot and Hollywood Studios Club 33 locations are already open, with the Magic Kingdom location set to open later this month.